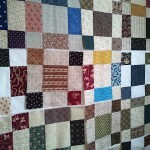 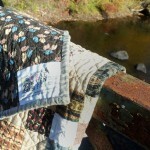 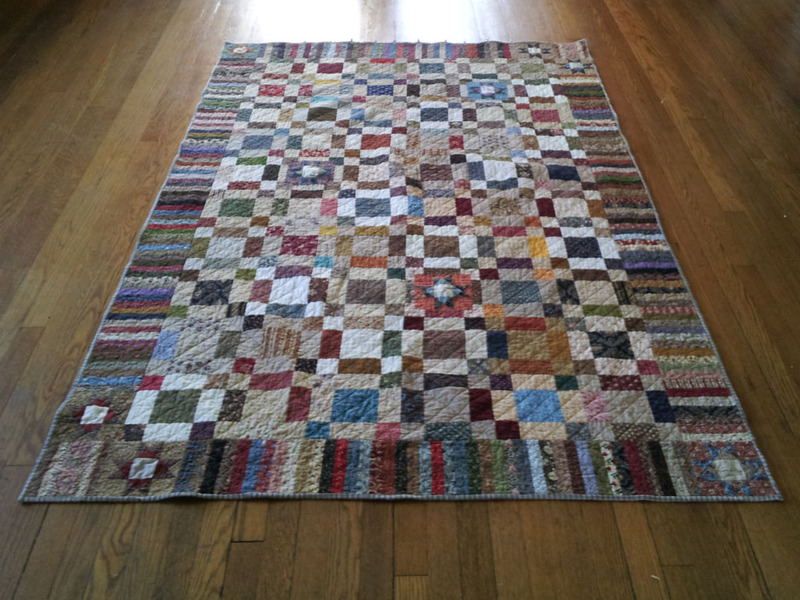 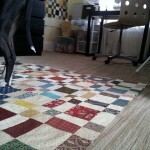 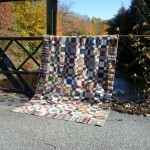 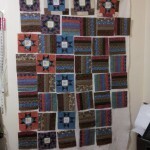 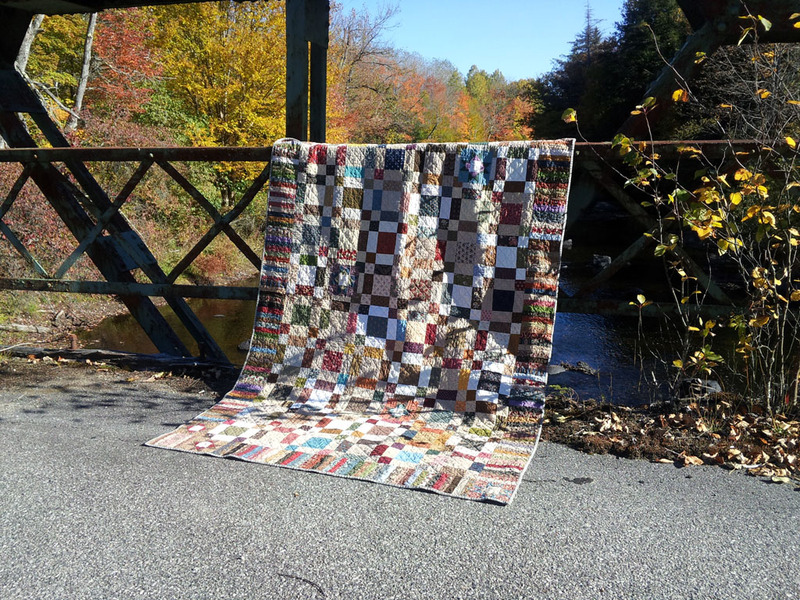 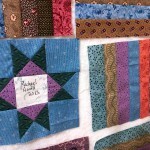 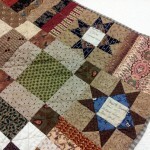 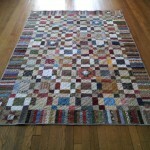 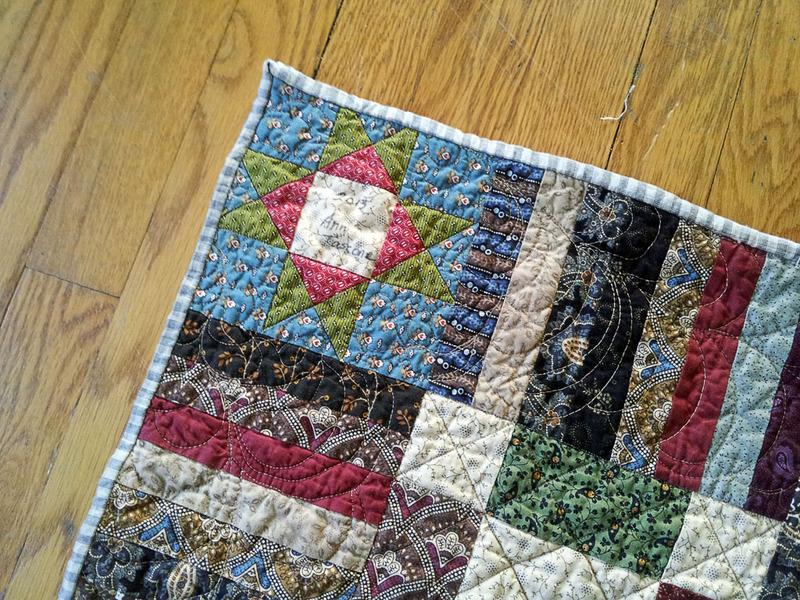 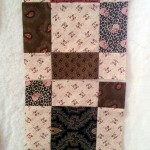 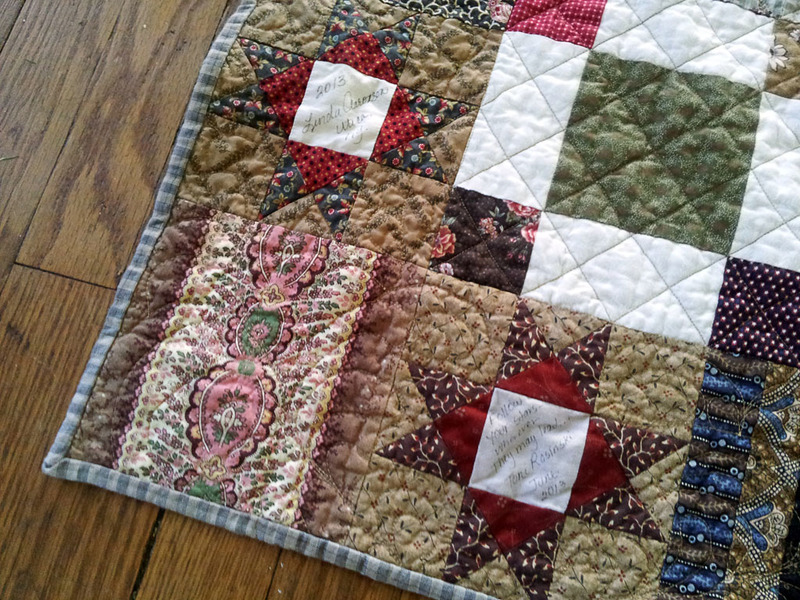 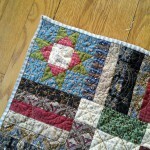 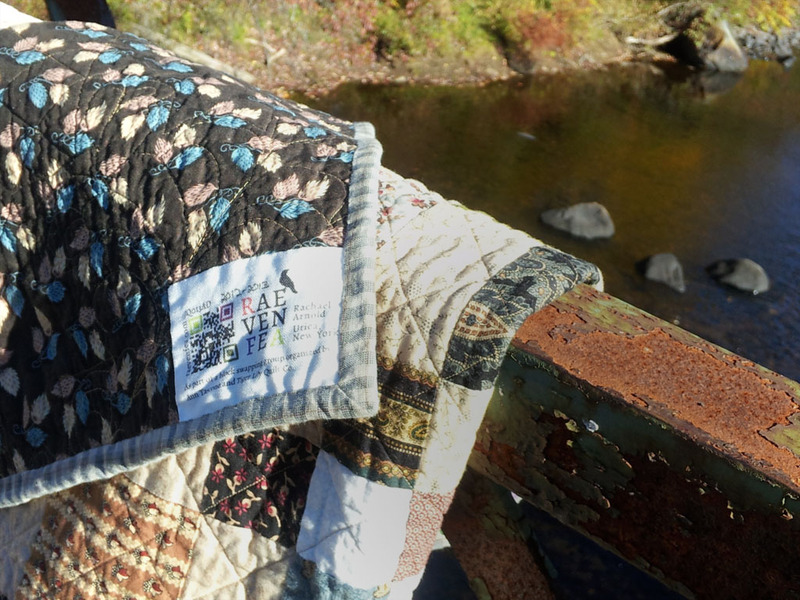 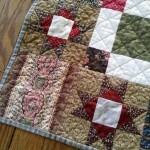 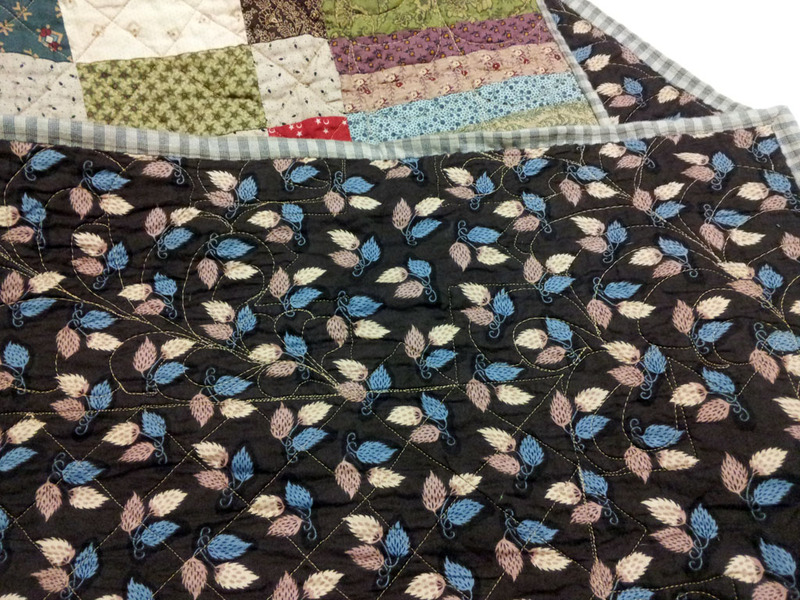 With the restriction of using Civil War reproduction fabrics, nine other women and I made blocks to swap, resulting in this quilt. 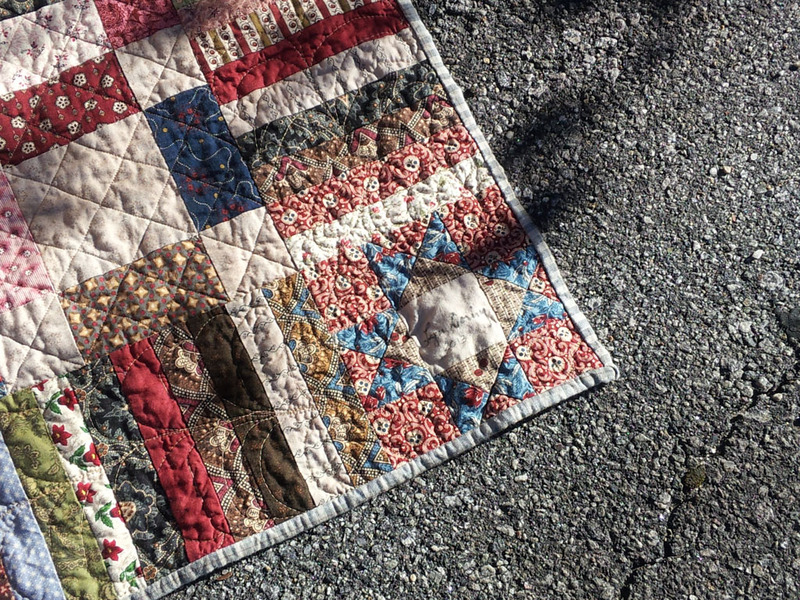 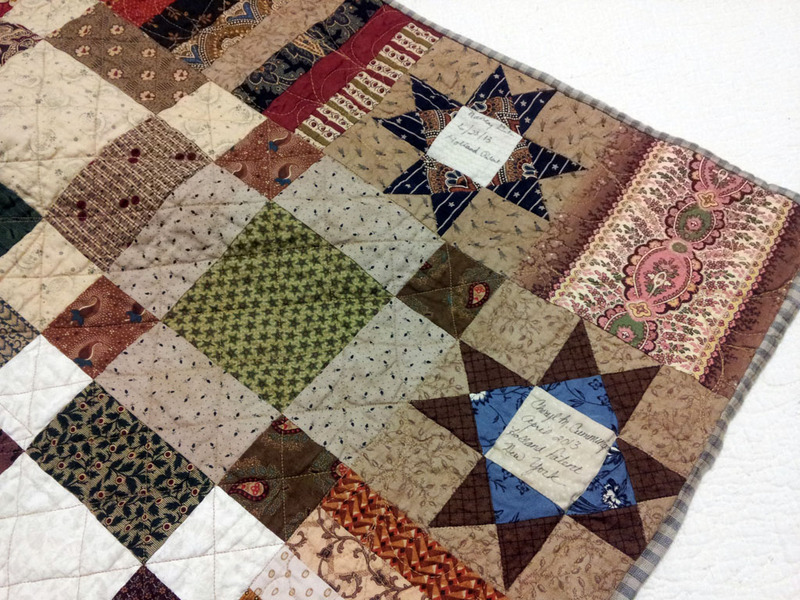 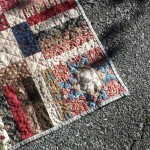 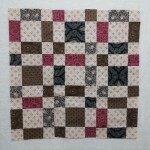 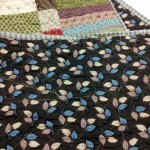 A wide variety of quilting cottons in general Civil War repro motifs. 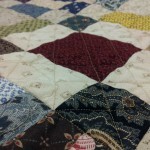 Many were scraps from stashes.